We have garnered wide acclaim for bringing forth cost-effective product range that is available at Nagpur(India). To maintain the high-quality standards, we follow strict quality standards throughout. 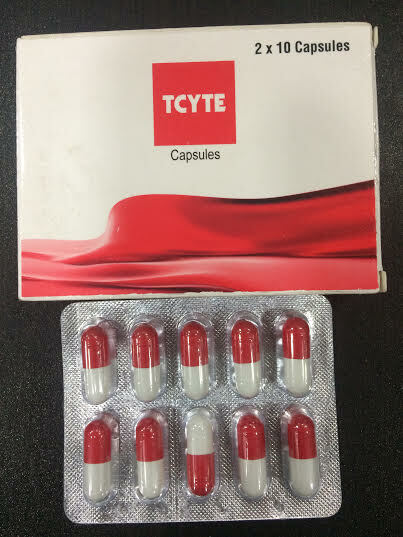 TCYTE Capsules are used for the treatment of dengue fever, wound healing, oxidative stress, thrombocytopenia, eczema and other conditions.